Hi guys…this topic might interesting for you…it’s about food!!! 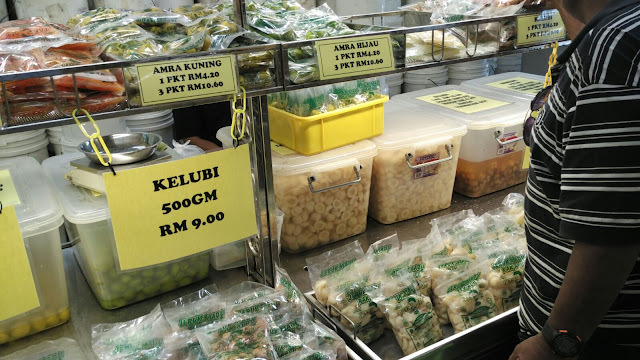 Jeruk Madu Pak Ali – have you ever heard about it? I think most of people knew about it. 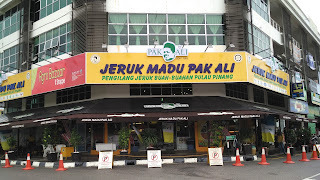 This Jeruk Madu Pak Ali located in Seberang Jaya near the big roundabout of Seberang Jaya. If you go to Penang it is a MUST place to go there. 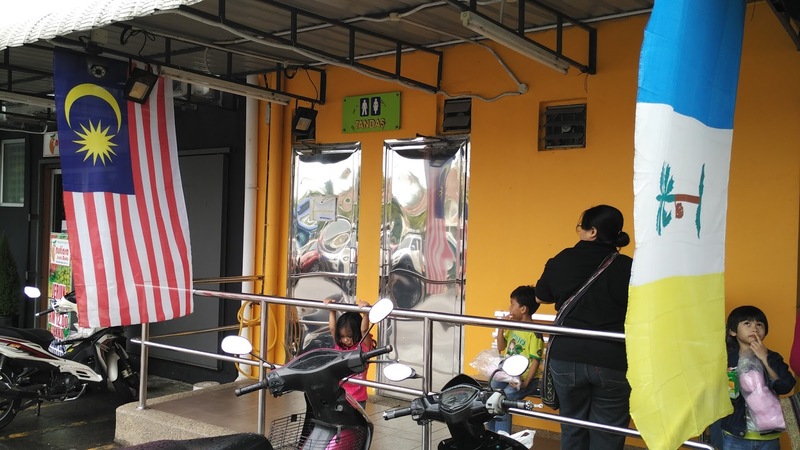 This Jeruk Pak Ali no more small stall like the old days. 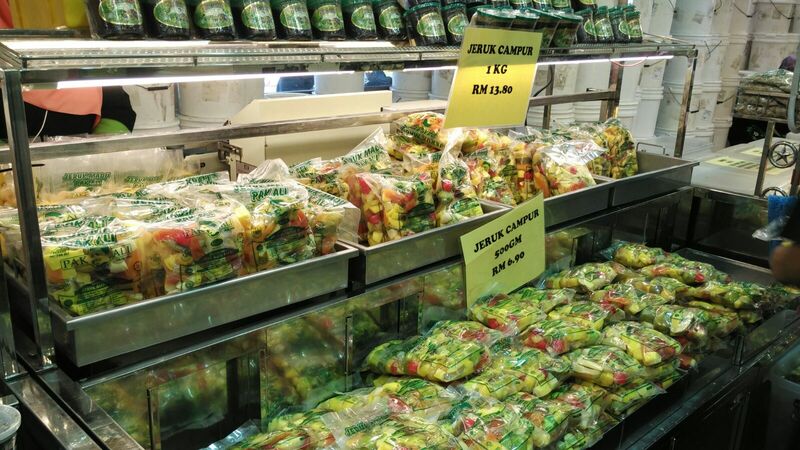 It is more like a mini market full of pickle (jeruk) comes from various types. 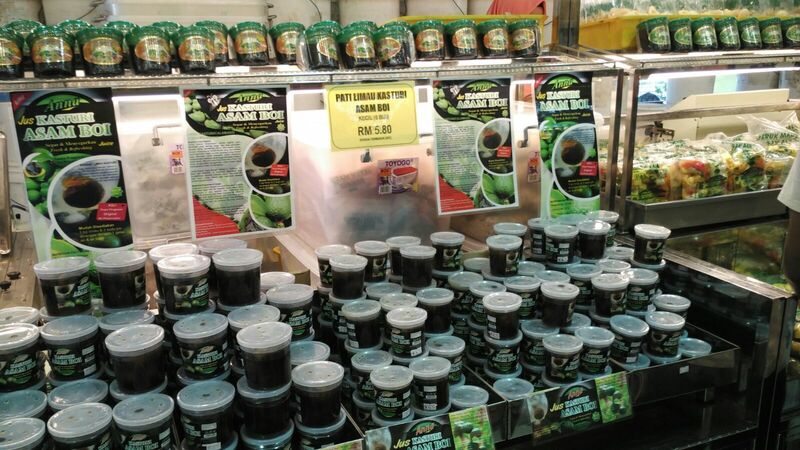 Actually, here in it is not only sell pickles. There are a lot of other local products also they sell – even souvenir. Please see in the photos that I "curi - curi" took inside the market. Actually there are a lot of people inside there during that time. Why not! there are 2 buses that bring visitors stop by. Very packed inside...haha. If you want to go to washroom – no worries. There at Jeruk Madu Pak Ali they provided a spectacular washroom (at least to me). Why? I’m not sure whether it is stainless steel or shining aluminium since I didn’t take a look up close. Malu la…hehe…I just took photo from a far only. I’m not a stalker OKAY! Okay guys, if you planning to go to Penang I suggest you plan some of your time to visit Jeruk Pak Ali.